Hola! Bonjour! Salut! Hello. Sorry for my lack of posts this week. I thought I had the flu but it just turned out to be an upper-respiratory infection. AKA the common cold. What can I say? I’m a pansy when it comes to getting sick. I looked up my symptoms on Web MD and thought for sure I had a brain tumor, cancer or the West Nile virus. Fortunately, I am alive and well. Sure beats dying. Needless to say I didn’t get out much. I’ve been sitting in my bed watching the election coverage and winding up in the really, really obscure corners of the internet when I should be playing catch up in my classes. I realized I had neglected you guys this week which is NOT a good luck when I was just nominated for a Mobbie Award. Anyways, I am back at it and I will try to make up for lost time! During my sick internet browsing, I (obviously) looked up a lot of photography things. Most of the photographs that we identify with periods of time are all film photographs. Ok, well yes that is obvious since digital hasn’t been around that long. My point is, is that film is still widely capable of taking the same amazing photographs that were taken before digital technologies were available to us. Digital is so recent, that many of the 9/11 photographers shot the images in film. photograph by Kevin Carter, Pulitzer Prize winner 1993. This image is probably one of the most famous film images to date. Not only did it bring up questions of ethics in photojournalism but the photographer committed suicide three months after taking this photo. No one knows for sure why but there is much speculation. photographed by Robin Hood, Pulitzer Prize winner 1977. This is a disabled veteran and his child. Many emotionally impacting photos were shot in black and white. 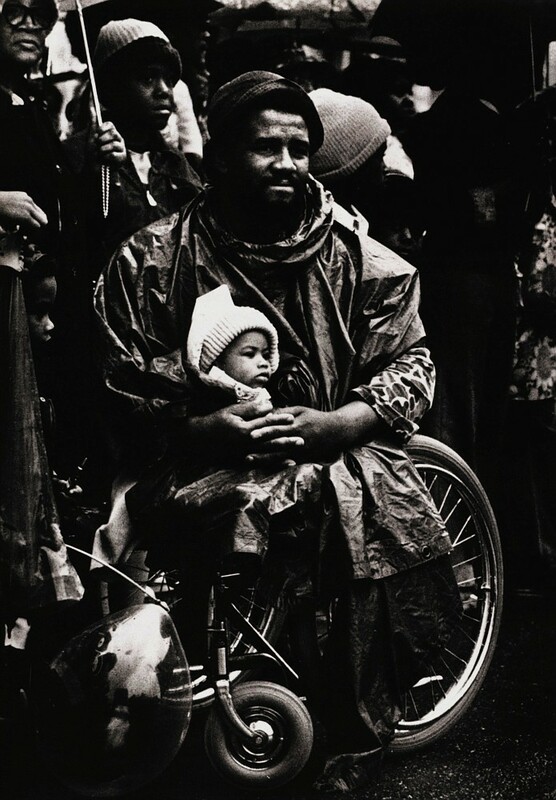 photographed by Moneta Sleet, Pulitzer Prize winner 1969. 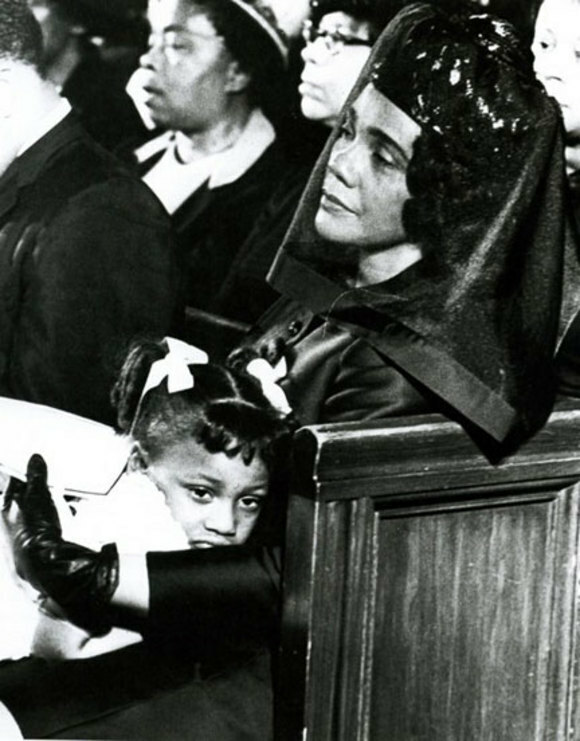 Martin Luther King’s widow and daughter after his assassination. photographed by Clarence Williams, Pulitzer Prize winner 1998. A young boy covers his ears as his father’s girlfriend screams at him. This is only one photograph of the many by Williams documenting the life of children with drug addicted parents. Makes you feel good, yeah? Sorry for the depressing images, much of photojournalism is about the dark side of life. Anyways, these stunning images were taken with film cameras, many like the ones that we have talked about so far. If any photographer readers out there could tell me what cameras were used in these featured photos that would be wonderful. I tried researching but received multiple answers. The most famous line of cameras that professional photojournalists use is the enviable Leica. Leica film cameras are world known for their impeccable precision and clear glass lenses. Costing around $4,000-$7,000 for the body and lens doesn’t stop serious photographers from still investing in film equipment. Why did I chose to talk about these images? Why did I pick depressing, sad ones? Well, I have always been a firm believer that using a film camera keeps you in the present. Digital is great and convenient but always looking at the back of your camera after every shot can prevent you from capturing the fleeting moment that happens in a spilt second. Using a film camera you have nothing to look at besides what is in front of you; the moment happening. These moments are powerful and were caught at the perfect time, time that wasn’t wasted. ← We have a Nomination for A MOBBIE AWARD. Vote here! I just think that film has a higher authenticity to it. So many people will argue against me but I can’t help it. When you have a moment burned into a negative by the light from that very moment is really crazy to think about, especially for historical moments. 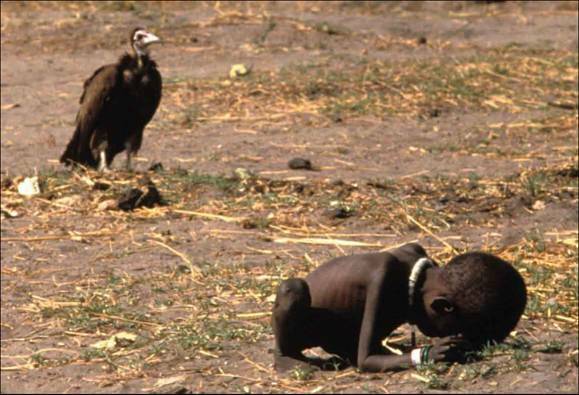 I’m pretty sure the photographer who took the picture of the vulture stalking the starving boy in Africa commited suicide not too long after taking that photo. He did! No one knows why but it’s speculated it’s because the the media really tore him in two for “standing there and putting more effort into setting up a camera and composing a shot than taking action to help a young starving child”. In journalism we are taught NOT to interfere in situations. It is our job to document things and it is other people’s jobs to help. Sounds awful but someone has to do it. It’s not easy taking photos like these and I think it’s an admirable skill. There are actually tons of discussions based on what is ethical in these situations. Yeah, they kind of say writers should do the same thing. It’s a bit daunting/haunting to think about really. That you must be a tree with a lens or pen in order to reach your full potential in situations where you could save a life or just make a difference in general. I agree on how admirable it is though. I once asked a really great photographer how they managed to not be haunted by all of the terrible things they have to photograph on a daily basis. They told me it gets easier and to drink a beer after work. It’s hard to walk the line of empathy and journalism. Gotta have just the right amount of both. Well without empathy, I imagine you’d just photograph deathcore bands and call that your limit, you know?